I currently have a Heat-N-Glo fireplace with remote in which my receiver plugs in to a power outlet. I was told by our propane company that I can replace this Heat-N-Glo with an Empire battery operated receiver/remote (not using the power outlet so this will work when the power goes off). My question is - is there a spot to put the wires from my current receiver in the back of the Empire Receiver? I was told that there are slots that I can put the wires in and then tighten up two screws on the back of the Empire receiver. Is this correct with the Empire Battery-Operated Remote Control - FRBC? I want to make sure I'm ordering the correct model of Empire battery operated remote and receiver. Can you tell me? When replacing the current remote system with the Empire remote, the current receiver would not be used at all. Instead, the pair of wire leads that run between the current receiver and the gas valve in the unit would be removed from the back of the current receiver and then connected to the back of the Empire receiver. There are indeed a pair of small screws that tighten the wires in position. To make sure the Empire remote will function properly, please provide the model number of your Heat N Glo unit. I look forward to assisting you further.I just bought an empire gas insert with remote. Could you please tell me how to get the temperature down on the remote? To set the desired temperature with the Empire thermostatic remote, you must first push, then hold the "SET" button on the remote. By pushing and holding this button, the set point temperature can be adjusted between 45 and 99 degrees Fahrenheit. The temperature only cycles upwards in scale, so you must allow the cycle to repeat if the desired set point is missed the first time. Once the set point is reached, you can then push the "MODE" button on the remote. When the word "ROOM" appears on the LCD screen, the remote is set to read room temperature and operate thermostatically.Will this remote control allow me to turn on my fireplace (Empire Tahoe Premium Direct Vent Natural Gas Fireplace with Standing Pilot - 48" - DVP-48-FP30N) in the event of a power failure? I currently turn on the fireplace with a standard light switch mounted on the wall. My concern is being able to turn it on if we lose power. As with the light switch that you use now, you could indeed use this remote to operate the fireplace in the event of a power outage, as the receiver is totally battery operated.Is this remote control simply hooked up to the th, th/tp area or does it need to be direct wired? Provided the TH and TH/TP terminals are the outer terminals, this is indeed where the receiver connects to your valve.What type of batteries does this remote control use? The transmitter operates on a 12V battery (included) made specifically for remote controls and electronic lighters. The receiver requires four AA batteries.I have a sky tech milivolt remote system and would like to know if this can replace it? This remote can indeed replace an existing Skytech millivolt remote. This model is actually a Skytech 1001 that is badged for Empire Comfort Systems. Depending on the model of your existing remote, you may have a 110 volt receiver, where this model is a plug in version.Is this remote compatible with an Empire DVL25FP72P-1? Yes, this remote is compatible with the DVL25FP72P.The directions say "push the MODE button on the remote" and there is only an ON/OFF button, no MODE. After the learn button is pushed on the receiver, what next, since there is no MODE button? With the remote receiver in the remote position, you should press and release the learn button using a paperclip or small screwdriver to hear an audible "beep" from the receiver. Once this is heard, pressing any button on the remote will sync the remote transmitter to the receiver. You should hear a series of confirming beeps from the transmitter once this is process is complete.What kind of battery does this remote use? The transmitter operates on a 12V battery (included) made specifically for remote controls and electronic lighters. The receiver requires four AA batteries. In order to make this remote work with my unit, do I need to leave the pilot light on at all times for me to be able to turn it off and on? The pilot will need to be left on in order for this remote to operate the unit. Only if the unit was a spark ignition type would you be able to have the pilot activate by using the remote.I have a remote control Empire fireplace and It does not work. I have replaced batteries and it still does not light up. Are there any other methods of troubleshooting this problem? eFireplaceStore Item Number: CUI-VFL20IN32 Yes, this is a millivolt remote control actually manufactured by Empire for use with your exact model.We just purchased the Empire Battery-Operated Remote Control - FRBC and have the receiver installed on the stove. It turns the stove on when you switch it to on but when switched to remote and use the remote control it doesn't turn on. In the instructions it says to train it by pushing the learn button on the receiver and pushing the mode button on the transmitter but there is only an on and off switch on the transmitter. What is necessary to do to get it 'trained' to receive the signal? There is a small pinhole button on the face of the receiver that must be pressed in with a pen or toothpick to perform the learn function. Please note that this will only work if the receiver is in the "remote" position.Would this Empire battery-operate remote control work with a VFP32BP70L-N? 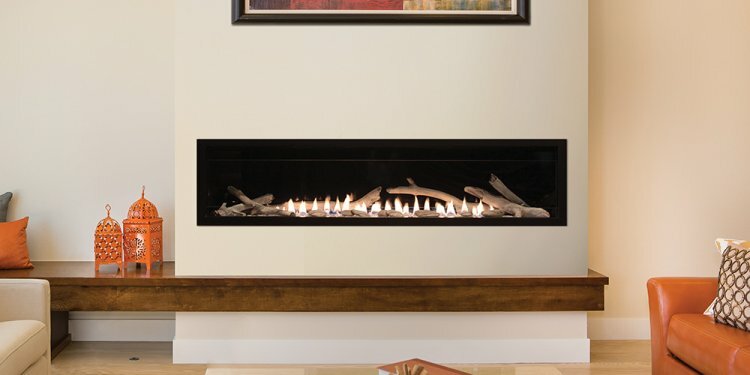 Yes, this will work with both the millivolt and your intermittent pilot Vail fireplace.Does this remote turn the fireplace on and off or the blower on and off or both? This remote will only turn the unit on and off. Most blowers that are sold for Empire appliances are of the thermostatic variety. The blower control can be left turned on and set to the desired speed. When you turn the unit on, it will heat the thermostatic switch and turn the blower on at the appropriate time. The blower will run for a while after the unit has been turned off, until the temperature has dropped enough for it to shut down.The pilot works but the remote will not turn on the fire. I would first check the batteries in both the remote control and the receiver box. If you have replaced the batteries, try manually switching the receiver control to the "on" position. If this does not ignite the burner, check the wiring connections between the receiver and the gas valve, as one may be loose or broken.